China’s population is expected to experience continuous negative growth from 2030 after reaching a peak of 1.44 billion in 2029, said a report published by the Chinese Academy of Social Sciences on Thursday. The country’s population is expected to shrink to 1.36 billion in 2050, and 1.25 billion in 2065. The report warned that if the total fertility rate, which means the number of children that would be born to a woman over her lifetime, remains at 1.6, negative population growth is likely in 2027, with a potential total population of 1.17 billion, which is equivalent to the year 1990. The World Bank estimated that after 1996, China’s fertility rate was lower than 1.6, rising back up to 1.6 in 2013 and 1.62 in 2016. The report noted that if China could maintain this momentum in growth, China’s fertility rate would return to a relatively safe level. One might say 1.25 billion people is plenty and few thought of China as underpopulated in 1990, but Chinese authorities are acutely aware that demographic decline means fewer young people entering the workforce and creating the wealth necessary to care for a massive aging population. NDTV noted China began allowing families to have second children in 2015 “in order to prevent a large aging population,” and the number of second children rose to 8.83 million by 2017, but births overall declined in 2018 by about 15 percent to hit the lowest level since 2000. 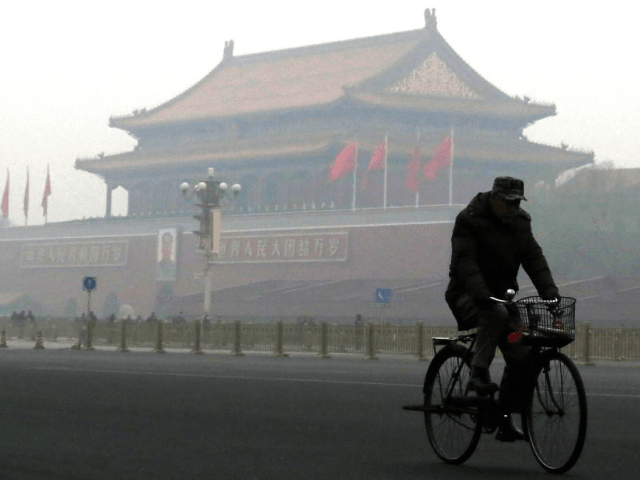 Some observers are convinced serious population decline in China has already begun and might be irreversible, with discernible negative effects on the Chinese economy and a pending demographic crisis that might grow worse than Japan’s. The Chinese government is clearly nervous about population decline. Not only was the notorious one-child policy scrapped, but subsidies for families were increased and officials began openly instructing citizens to have more children as a matter of national security. These measures do not appear to be working, possibly because Chinese couples are responding to the same social and economic forces as the middle class in many other developed countries: they see children as expensive and burdensome, so they delay pregnancy until they feel secure in their career and finances. The entire industrialized world is grappling with the uncomfortable conundrum that middle-class prosperity carries the seeds of its own destruction because it does not carry the seeds of constant population growth, vital to providing labor for growing industries and revenue to cover aging populations in an era of rising medical costs and growing lifespans. The problem seems especially pernicious in societies that lack strong cultural, and especially religious, traditions favoring large families. Religious devotion remains one of the most reliable methods of encouraging people to marry young and have three or more children, the key ingredients of healthy population growth. Having children at a young age without remaining married is the key ingredient to unhealthy population growth and social pathologies that do not produce thriving generations of dedicated students, eager workers, and bold innovators. The effects of demographic collapse in a population as large as China’s will be felt far beyond its borders. One immediate problem will be rising labor costs as empty cradles become missing workers, which will become an international problem because so many corporations have become reliant upon inexpensive Chinese labor. More troubling is that China’s population decline is lopsided between the sexes because couples preferred boys during the one-child era. The next generation will be short on boys but girls will be even more scarce, producing a wave of lonely young men with limited economic opportunities – something that has not worked out well in any society on Earth.